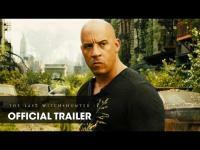 Breck Eisner"s The Last Witch Hunter (2015) finally has a release date announced by Lionsgate for October 23, 2015. Vin Diesel plays an immortal witch hunter teaming up with a female witch played by Rose Leslie. Together they must battle the evil witch covens in New York City trying to release a plague on the world. Also starring in this film are Elijah Wood and Michael Caine. I cannot wait to see this new film and I know Vin Diesel will be dropping nice sneak peeks in the upcoming weeks. Synopsis: The last remaining witch hunter battles against an uprising of witches in modern day New York.